Ferret.com.au visited the recent AUSPACK PLUS 2013 exhibition in Sydney to check out the latest innovations in packaging, labelling and process machinery. Here Ferret.com.au rounds up a collection of articles focussing on specific bulk handling, automation and surveillance systems designed for use in industrial environments. In the first article in this series, we introduced the design and manufacturing services provided by CASI ANZ , before discussing the company's approach to automated product labelling. Here, we will focus on order picking systems, which the company can supply for picking applications on any scale, and data collection systems that are designed to ensure efficient and productive data collection at many points in the distribution cycle. 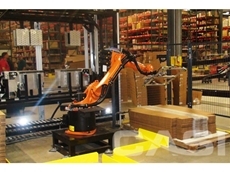 Ranging from the most basic operator assisted pick and pack systems to the most state of the art fully automated systems, CASI offers a full line of technologies for automating order fulfilment requirements. The company's applications engineers are experienced in order picking system design, and available to assist in the design of the design of a turnkey system appropriate to operational requirements. whether piece pick, case pick, or full-pallet loads are being handled. In many cases a combination of picking methods is needed to handle diverse product and order characteristics. CASI's SolidPick module allows for multiple picking methodologies, allowing engineers to match the picking methodology to the operation and ROI requirement. 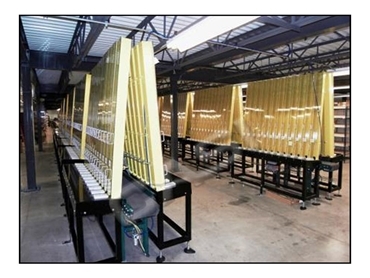 SolidPick is an operator prompted split case order picking system used to streamline pick modules. It is designed to save time and labour by automating the item selection process and providing automated feedback via CASI's Core picking interface or SolidSuite 2010 web based applications using .Net technology. As mentioned in the first part of this series, one of CASI's strengths lies in the fact that it custom designs, engineers and executes manufacturing in-house, enabling the company to provide turnkey solutions for a range of applications, including data collection. CASI can provide turnkey data collection systems for warehouses or factory floor applications that include both hardware and software customised for particular uses. Typical systems are designed using existing UPC or other barcodes to drive picking, putaway, and other data to the barcode system, and often incorporate portable data collection systems. Incorporating a portable data collection system into a distribution centre will enable an enterprise to increase productivity by enabling orders to be processed more rapidly, hence reducing labour and eliminating shipping errors, costly returns and customer complaints.